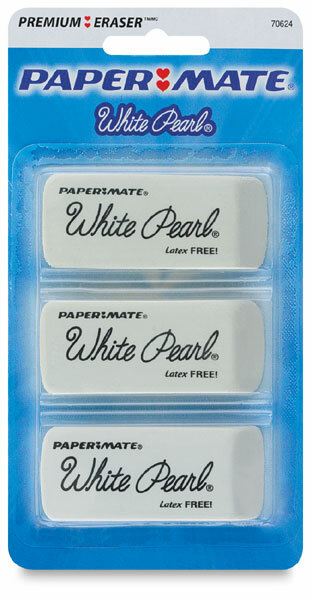 This 100% latex-free eraser is great for correcting all pencil mistakes. It is smudge-resistant and comes in packages of three. It measures 2-1/4 × 7/8" × 7/16". 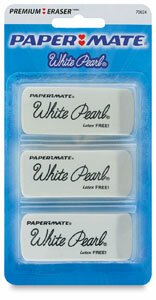 ® Paper Mate is a registered trademark.® White Pearl is a registered trademark.